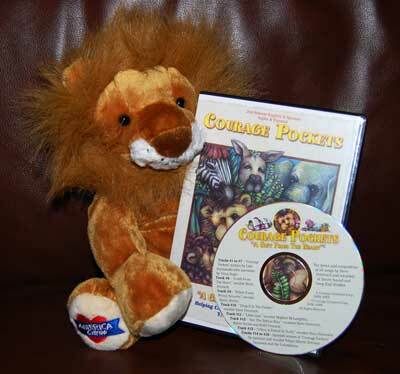 This exceptional audio book has made it possible for children unable to read to benefit from the healing message of the “Courage Pockets” storybook. It also includes 6 children’s songs related to Duffy and his friends. The end result is a cheerful and engaging story and music that will help engender hope and bolster courage in the hearts and minds of children. Both English and Spanish versions are supplied on the disk.